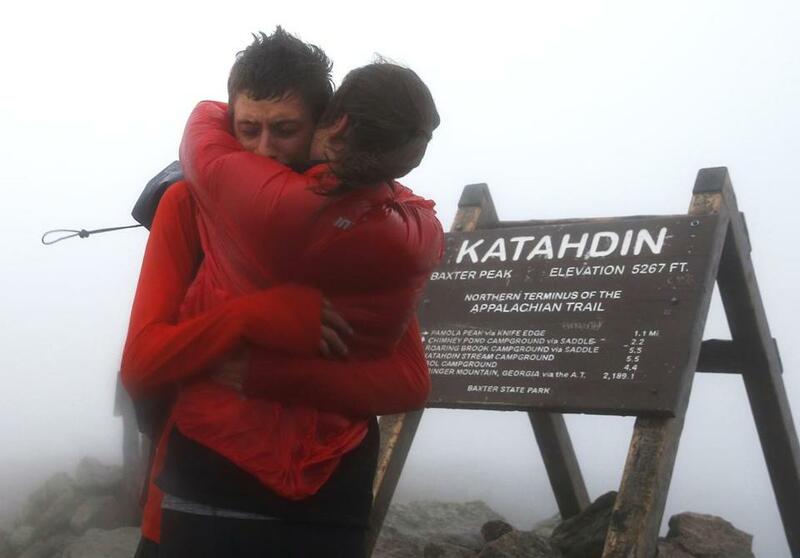 Joe McConaughy embraced his girlfriend, Katie Kiracofe, as he reached the summit of Mount Katahdin after breaking the record for fastest unsupported hike of the Appalachian Trail. 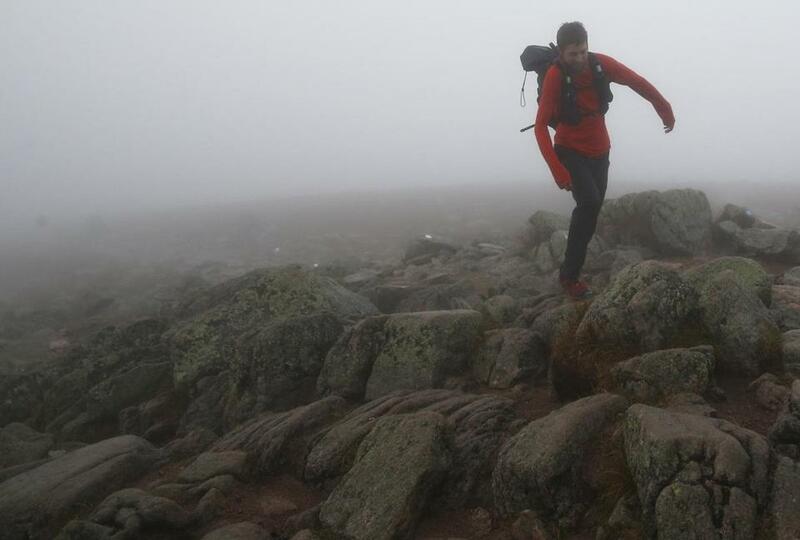 Joe McConaughy picked his way through the rocks as he ran toward the summit of Mount Katahdin. 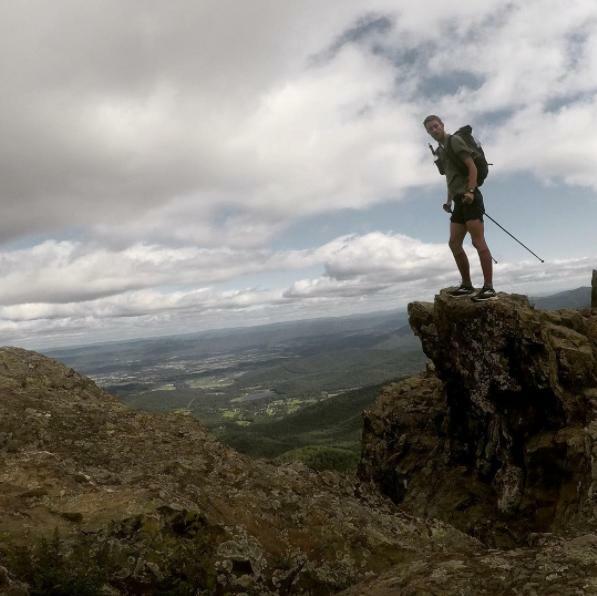 According to McConaughy, he hiked the 2,200-mile Appalachian Trail in an unofficial fastest known time of 45 days, 11 hours, 15 minutes. 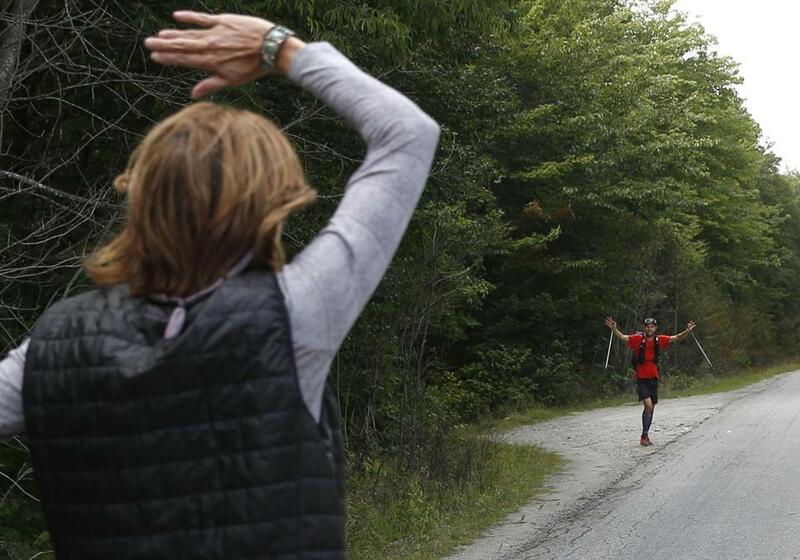 McConaughy’s mother, Mary Ann McConaughy, waved as he emerged from the wilderness at Abol Bridge in Millinocket, Maine. 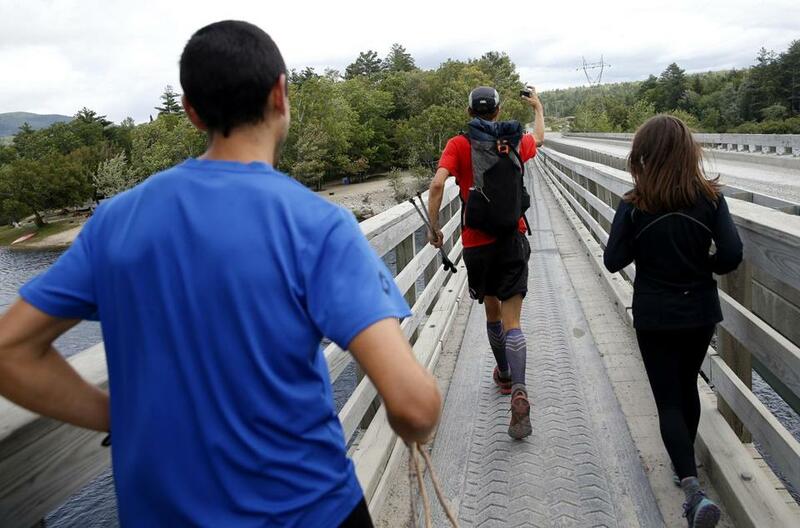 McConaughy slapped hands with a group of hikers who had been waiting to see him cross the bridge after hearing of his attempt at breaking the record. 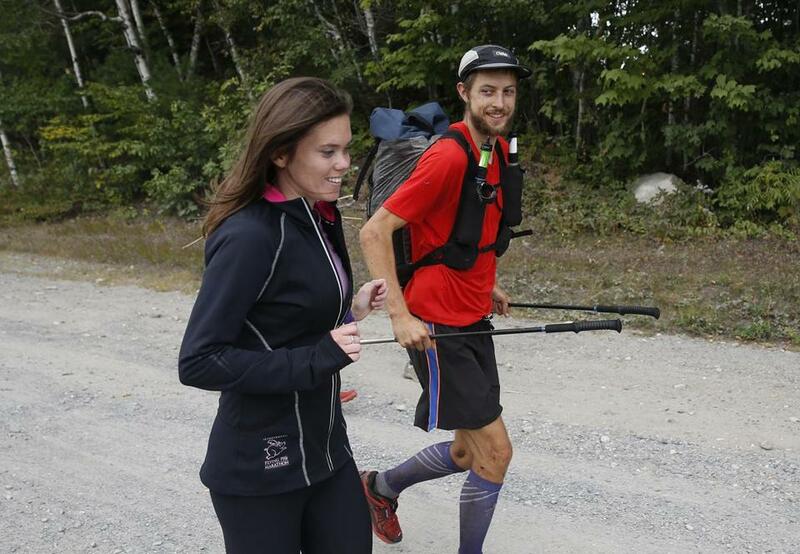 McConaughy held out his GoPro and filmed as he ran over Abol Bridge with his girlfriend, Katie Kiracofe (right), and friend and ultramarathoner Josh Katzman after he emerged from the wilderness. McConaughy greeted his mother and girlfriend after emerging at Abol Bridge. 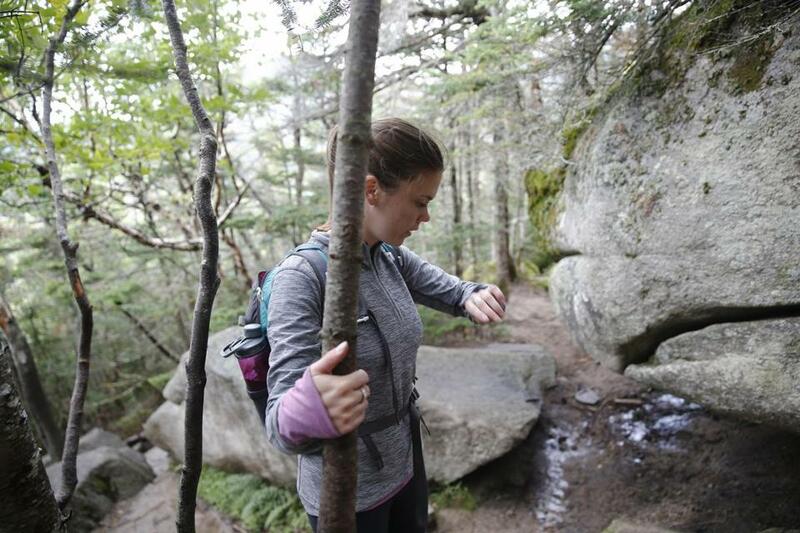 Kiracofe checked her watch as she ascended Mt. 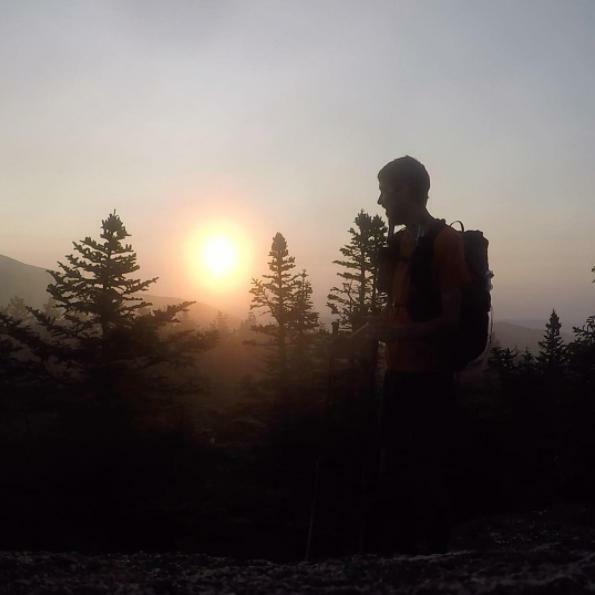 Katahdin, trying to decipher how much time she had to make it there in time to see McConaughy reach the summit and the terminus of the Appalachian Trail. 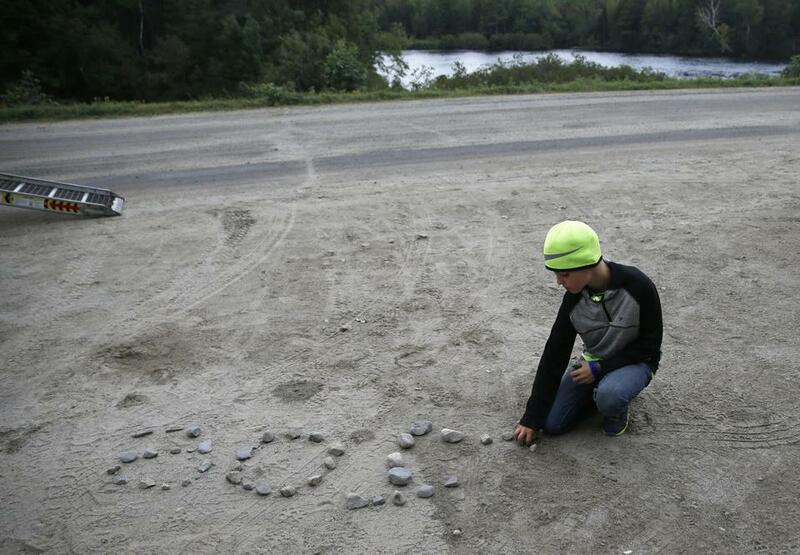 Katzman's son, Cooper, spelled out “Go Joe!” in rocks as he waited with his dad to see McConaughy emerge at Abol Bridge. 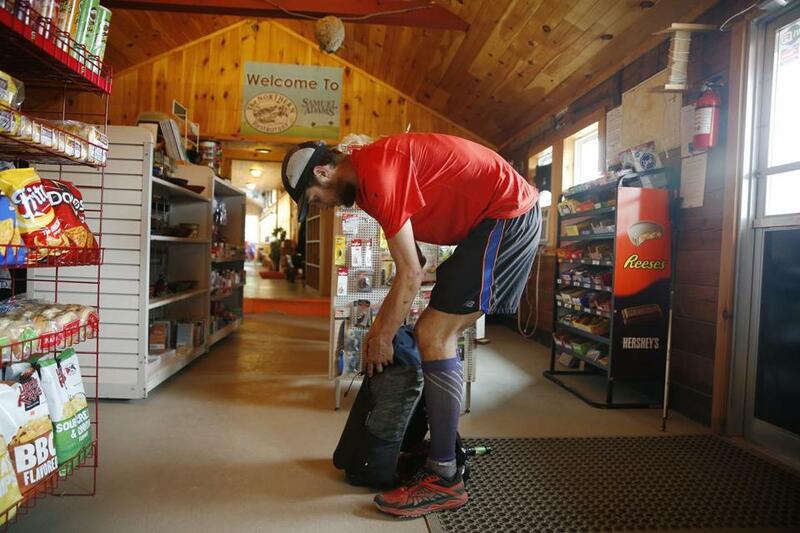 After depleting his food, McConaughy reached into his backpack at Abol Bridge to fish out money in order to pick up supplies and to throw away his garbage. Kiracofe pointed to a map as she and Katzman tried to figure out where McConaughy might be. 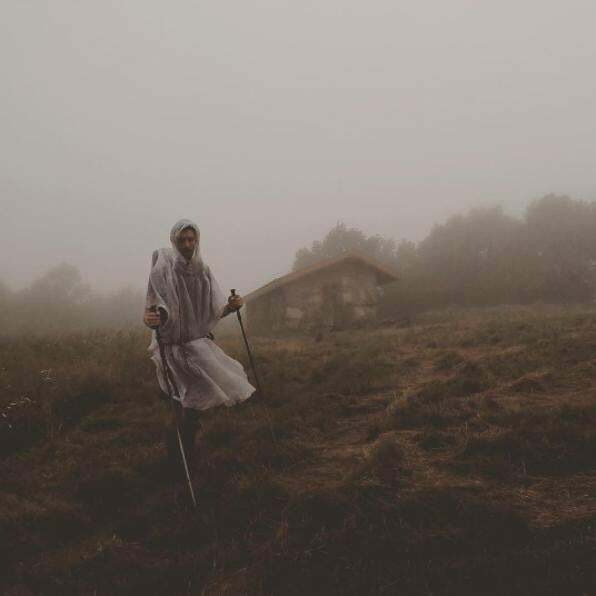 McConaughy documented his journey on Instagram at thestring.bean. McConaughy documented Day 24 on Instagram. Day 22 was the halfway mark. 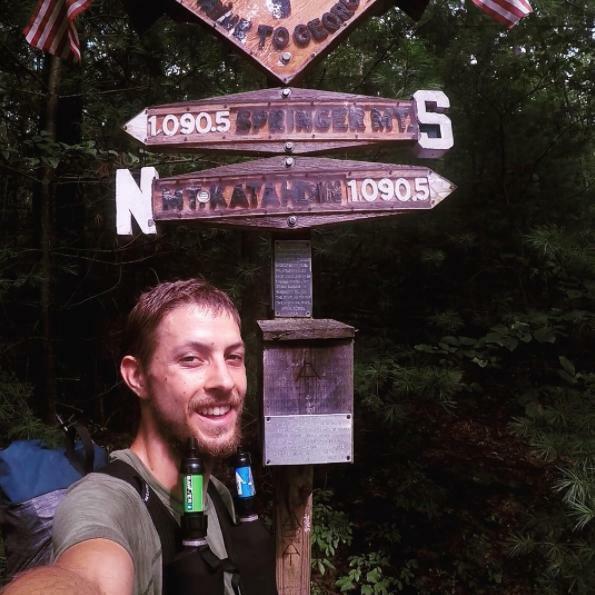 Day 20, Aug. 7, found McConaughy in Lewis Springs near Big Meadow in the Shenandoahs. 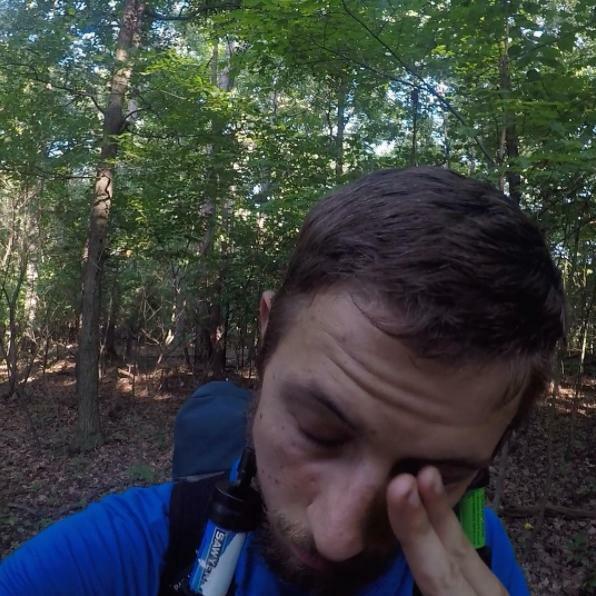 On Day 12, McConaughy encountered some bad weather in Virginia. 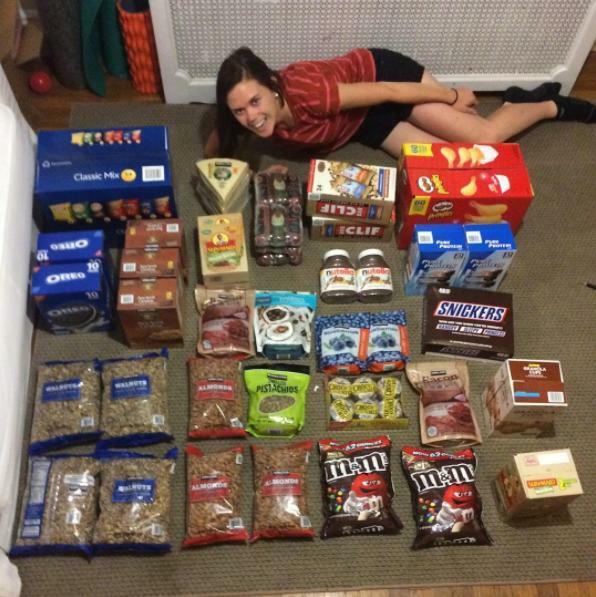 The food that would get him through 24 days on the trail. 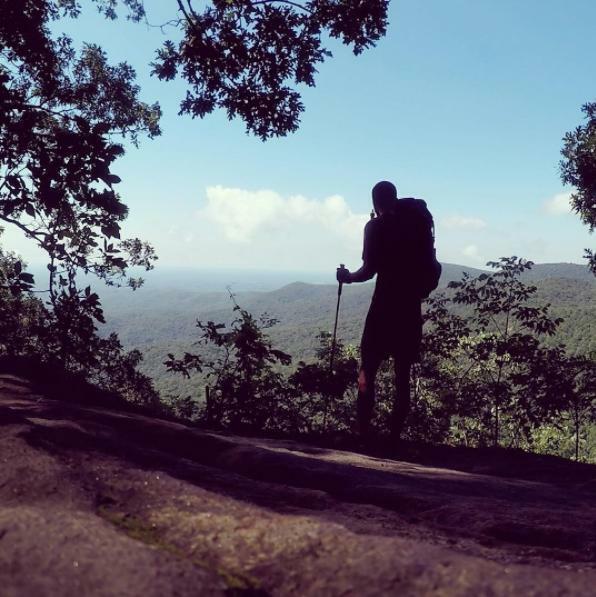 McConaughy started out on his attempt to break the record from Georgia on July 19.